Find an Owensboro, KY, family attorney you can trust at Evan Taylor Law Offices. It can be quite traumatizing when families are forced to enter the courtroom. Oftentimes there's no way around it. If you feel you're being taken advantage of by a spouse, get our legal team on your side. Regardless of your specific legal issue, we'll cater our services to your needs and your budget, standing by your side from the initial consultation until the settlement. Because we understand how important our legal counsel is, we provide families on a budget with a variety of payment plans so they can compensate us for our services over a comfortable time period. Time is of the essence. Don't lose the right to see your children. Don't lose the assets and property that you've worked so hard to attain. 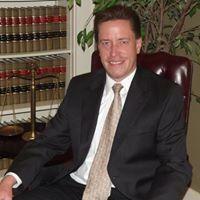 The sooner you find a lawyer the better, even if legal proceedings are not yet underway. We'll do our best to avoid court; it's traumatizing to everyone involved, especially children, and financially costly. As the recipient of the R.L. McFarland Sr. Leadership Award for Civil and Human Rights Advocacy, Owensboro, KY, family attorney Evan Taylor has a personal record that underscores his compassion, humility, and dedication to justice.